My husband and I love to entertain. We are constantly hosting weekly meetings, parties, impromptu get-togethers with friends and large family gatherings. 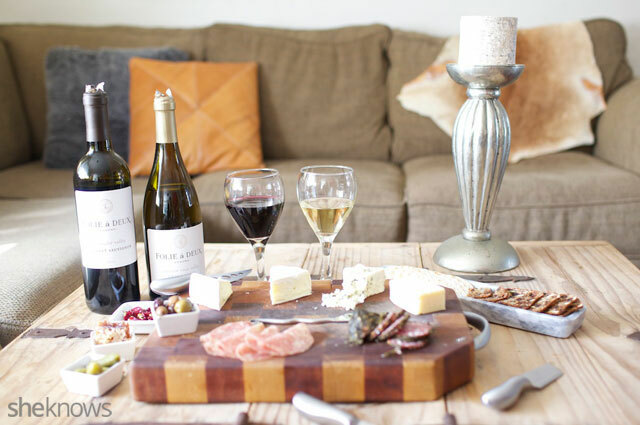 Give us any excuse to invite people over, and we will. When it comes to entertaining, I’ve learned that appetizers are essential. And when it comes to appetizers, there’s nothing that will excite guests quite like an artfully arranged cheese board and glass of wine. I recently found this handy cheese board checklist that takes much of the guesswork out of planning. 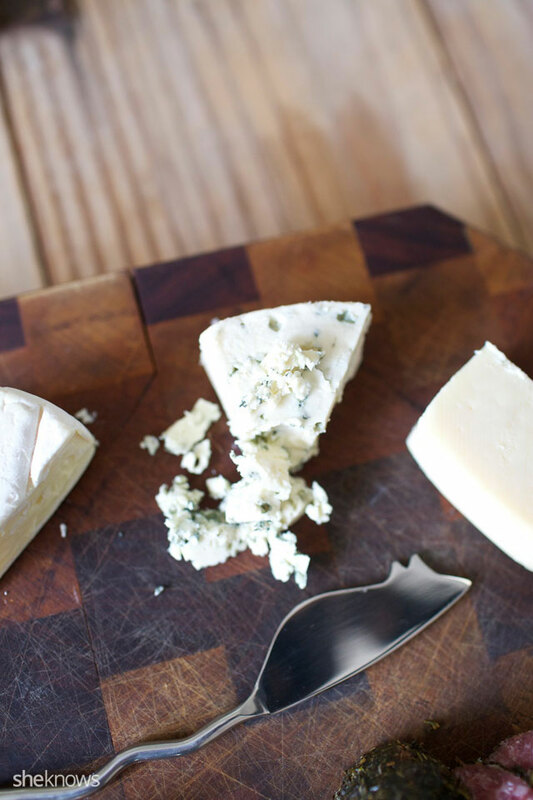 It outlines details such as how much cheese to estimate per person, choosing cheese flavors that compliment each other, and pairing cheese with charcuterie and crackers. Oftentimes I just make a last-minute rummage through the pantry and fridge for whatever cheese, crackers, deli meats and olives or pickles we happen to have on hand and arrange it all on a pretty platter. Other times I put a lot more thought into planning and hit the local grocery for some special ingredients. Add a bottle of wine, and we’re good to go..
1. 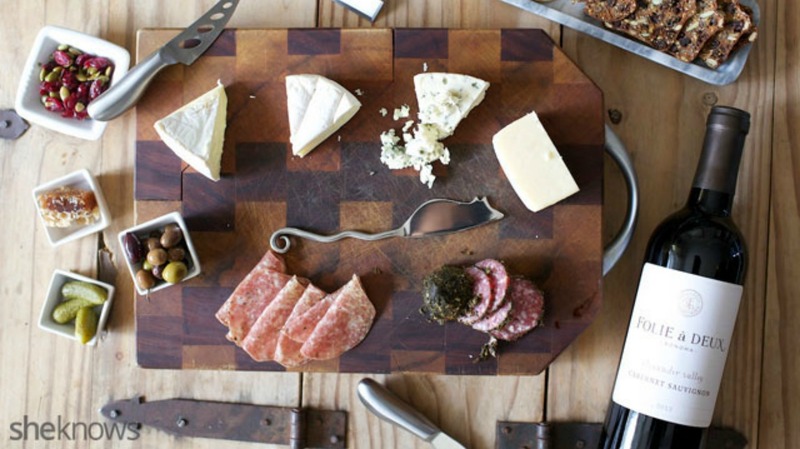 Get a quality board to display all your tasty offerings. 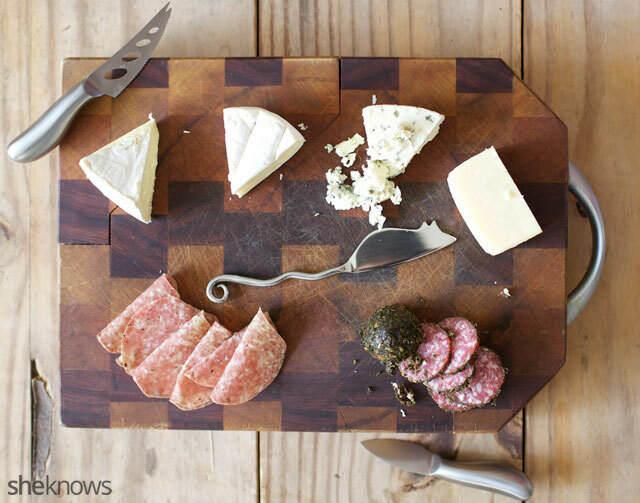 I simply used a cutting board, but if you want to be a little more snazzy, try something like this pretty wood board that includes three knives. Use the largest size board you have, or plan on serving some of the ingredients on the side like I did. 2. 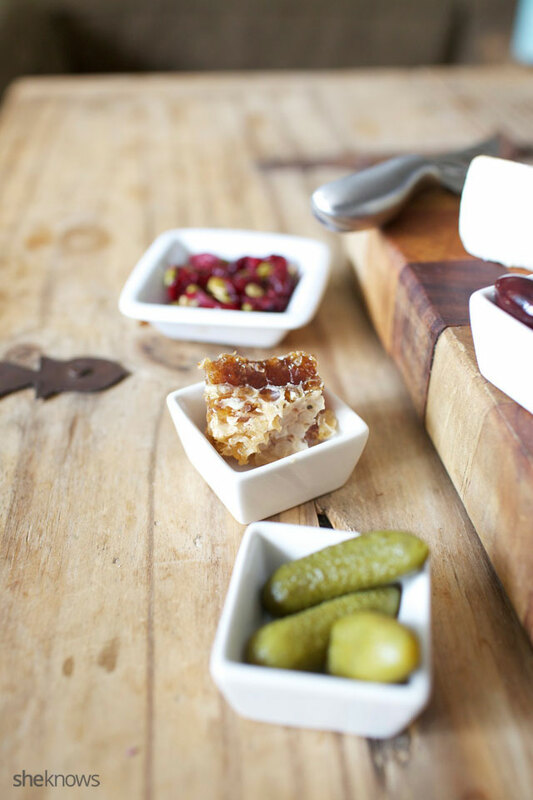 Choose a variety of cheeses, from soft to hard, mild to strong. Set the cheeses out 30 minutes before serving to remove the chill and let the aromas come to life. Arrange them in an organized way from mildest to strongest. 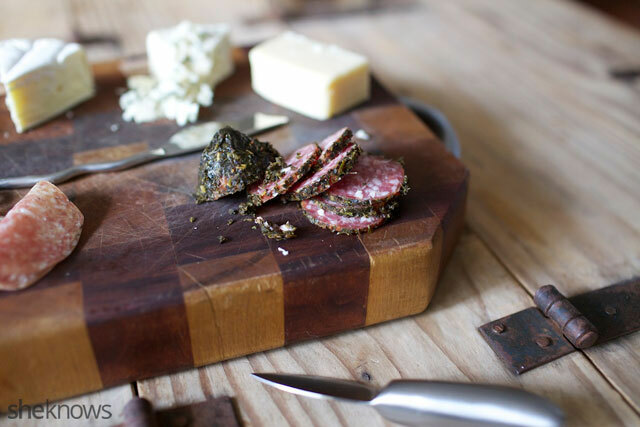 Add some charcuterie, like different varieties of salami, also arranged in an organized way. Label your cheeses so guests know what they are sampling. 3. Choose at least two varieties of crackers — at least one plain and one a little more fancy. A plain water cracker is always a great choice, then add something with interest all its own. I chose a fig and nut cracker and presented both on my chunky marble tray. I like to keep crackers separate so they don’t compete for space with the cheese as people start reaching in to start slicing and spreading. 4. Provide a variety of knives. 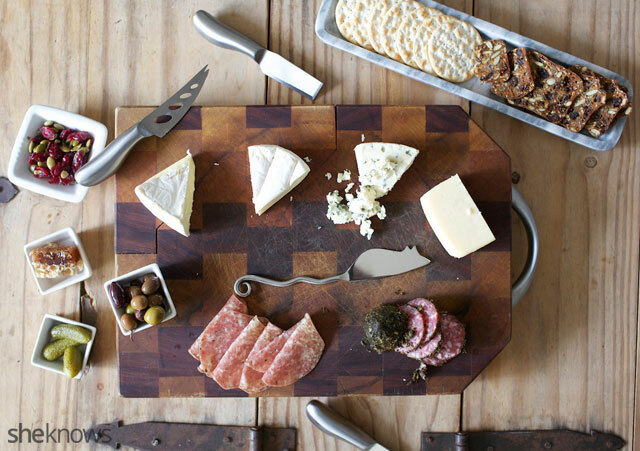 You could use a slicer for hard cheeses, an open blade with holes for soft cheeses and a paring knife, which is a great all-purpose knife for anything on the tray. This mouse knife I used was too cute to resist! You can stop here if you want something quick and simple, and I’m sure no one will complain. However, to make it even more special, finish with step 5. 5. Add something tart and something sweet. Olives and pickles are perfect for their complex and tart flavors. Nuts add a nice little crunch. 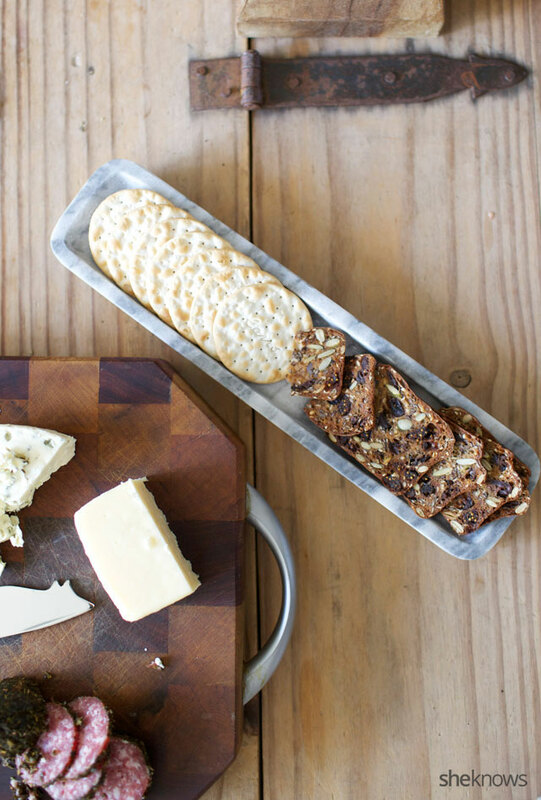 Dried cranberries add sweetness, which elevates the flavors of the cheeses immensely. 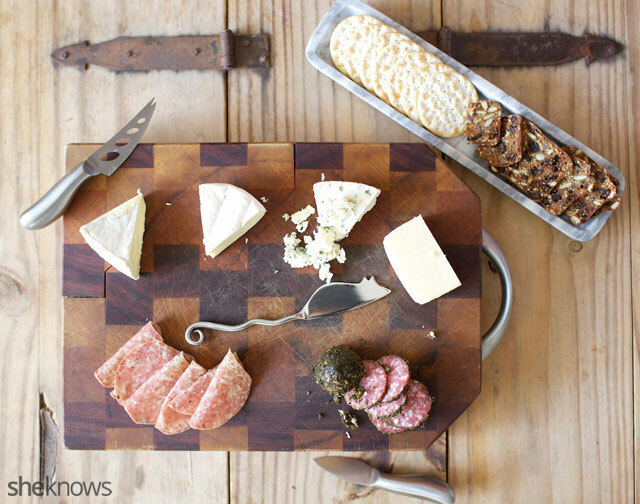 Present these on separate dishes to keep juices from mingling with the cheeses and meats. If you’re lucky enough to find a chunk of honey in the comb, it’s not only sweet but also a great conversation piece. 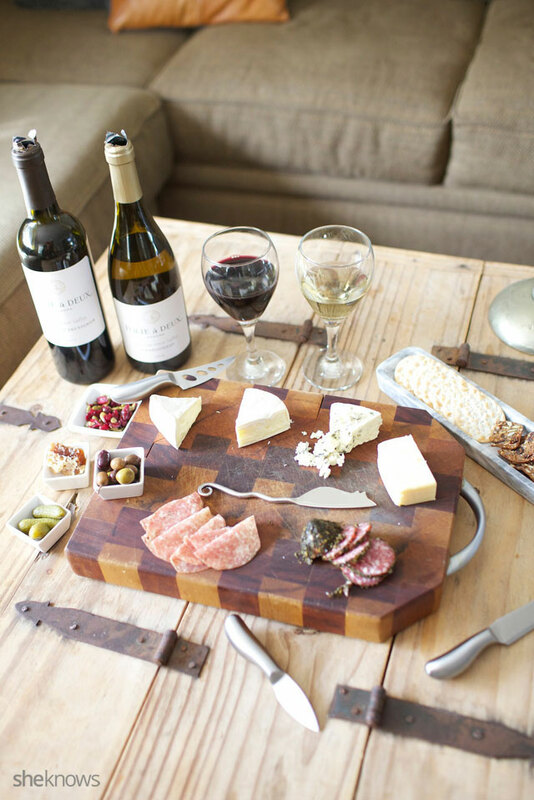 Now that you have a beautiful cheese board, choose your wine. Wine and cheese are a perfect pair. Although I am not a huge wine drinker, I recently had a change of heart while on a food tour in Healdsburg, California. One of our stops was a specialty wine pairing bar, where I learned how important small bites like crackers with cheese, mustards or relishes were in the whole wine tasting experience. Now I regularly purchase special cheese and crackers to nibble with some small sips. Since I’m admittedly a beginner in the wine department, I sought the advice of local winemakers Folie à Deux for today’s cheese board pairings. They picked out a Russian River Valley chardonnay and their Alexander Valley cabernet sauvignon for me. Both were delicious with all of these wonderful flavors, aromas and textures. 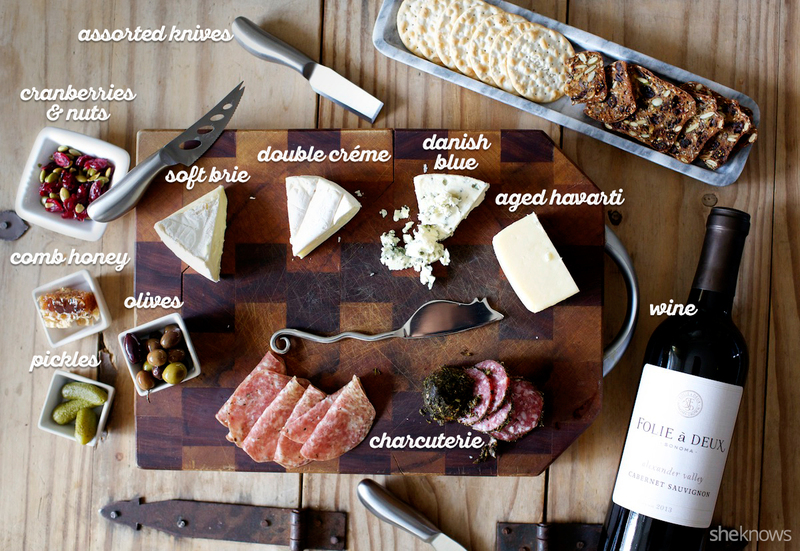 Try one, or simply choose your favorite red and white to complement the cheeses you enjoy.